Eddie Gray is certain that Sheffield United’s result against Millwall gave the Leeds United players a confidence boost ahead of their game against Sheffield Wednesday on Saturday. The Blades were involved in a 3pm kick-off against Millwall and were looking to earn three points to keep the pressure on Leeds ahead of their late kick-off against Wednesday. 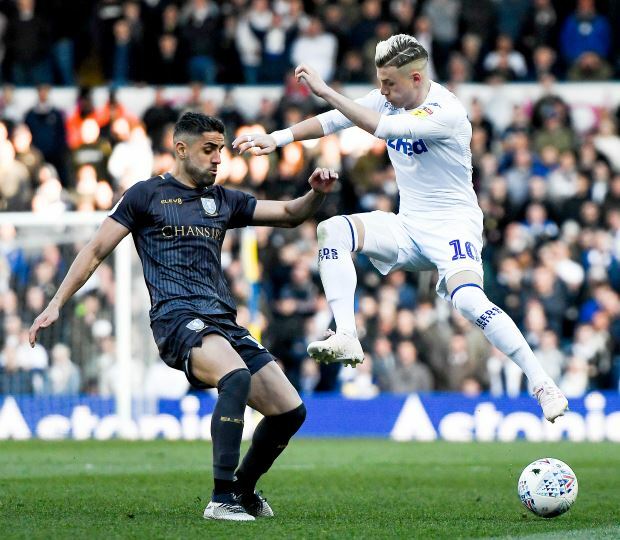 But Chris Wilder’s side conceded a late equaliser against Millwall to drop points and Leeds’ win over the Owls in the later game helped the Whites to open up a three-point gap on Sheffield United. Millwall’s equaliser registered with the Elland Road crowd just before the game and Gray is certain that the Leeds players were keeping track of the results despite whatever they say in the open. He feels Sheffield United dropping points would have certainly given the Leeds players a confidence boost as it meant they could consolidate their position in the league table with a win. The Leeds legend said on LUTV: “Of course they are following the results, they are looking at every result. “I am sure the players when they were warming up before the game, heard that Millwall had equalised at the end of the game and they’d know by the crowd’s reaction, after missing a penalty kick as well. “The players would have known that and it probably gave them a little bit of a lift as well, knowing a win would take them three points clear. Leeds will host Wigan Athletic at Elland Road on Good Friday while Sheffield United welcome Nottingham Forest.